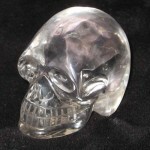 Want to bring a Crystal Skull Explorer event to your area? We pride ourselves to do everything possible to accommodate all potential sponsors to create a win-win situation as our primary goal is to offer the best events we can for your community. We understand that the financial requirement to create an event can be difficult, but write to us as sometimes we have some creative thoughts how it can be done with limited resources. ie, splitting the cost amongst multiple local co-sponsors. We feel with the current situations occurring in our world today, now more then ever it is important to share about the return of these sacred tools that are returning to our attention after a long time of sleeping. We hope to make this more of a reality by creating more international crystal skull festivals in the coming years. Use this form to join The Crystal Skull Explorers Newsletter and Bring an EVENT to YOUR AREA! Check:: Bringing The Crystal Skull Explorers to your area and all other areas you are interested in and we will get back to you ASAP!